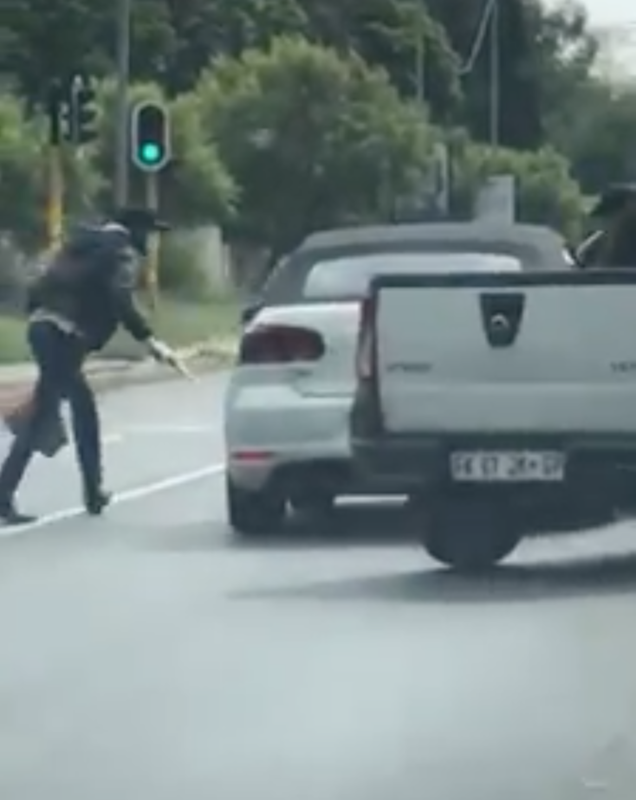 Video footage of an armed robbery and an attempted hijacking in Middle Road, Morningside, Sandton has been released. In the 16-second video filmed by a fellow driver, one can see two suspects approaching a Volkswagen. One suspect with a firearm in hand moves towards the passenger side and demands what looks like a handbag. The other is seen trying to open the driver's door but does not succeed. They flee with a white vehicle. The woman filming the video is audibly shocked.